A new poll released this week shows that the general public thinks manufacturing is hugely important to the future of the UK economy post-Brexit and that Government should place more value on it. But there are massive misperceptions about the pay and opportunities it offers, as well as its world ranking. According to the survey carried out by YouGov for EEF and law firm Womble Bond Dickinson, almost three quarters of people (70%) agree that the UK cannot tackle future problems without a strong manufacturing sector. The sector also comes first when asked which sector is likely to provide a solution to a number of the challenges facing the UK and also scores highly with the public for trust. When further probed, 69% believe that manufacturing is important to secure our place in the global economy, especially in the context of Brexit, while 61% feel that a strong manufacturing sector is important to secure employment for future generations. However, despite the public placing a high value on the role of manufacturing only a fifth of parents want their children to work in the sector. The survey also showed the understanding of Britain’s international standing was extremely underrated. The British public believes that the UK is ranked at 56th in the world in terms of value of products made, which is actually the position of Kazakhstan. The reality is that the UK is in fact in the top ten performing manufacturing countries around the globe sitting at 9th place in the world and two thirds of respondents say they want the UK to push into the top five. Dr Andy Palmer, President and Group Chief Executive of Aston Martin Lagonda, has announced plans to create the Palmer Foundation, a privately-funded programme to create industrial apprenticeship opportunities for young people in the UK. Andy Palmer, who began his own automotive career as an apprentice, has undertaken to fund the scheme which will also be supported by existing shareholders, members of the senior management team at Aston Martin Lagonda and Hitomi Palmer, wife of the CEO. Andy Palmer said: “Young people can struggle to get on the first rung of the career ladder, so we are creating the Palmer Foundation to help get them “on the ladder” and into high quality apprenticeships. A person’s background should never preclude them from achieving their potential, and in this case becoming what could turn out to be some of the best engineers of their generation. This is just the beginning for the Palmer Foundation. 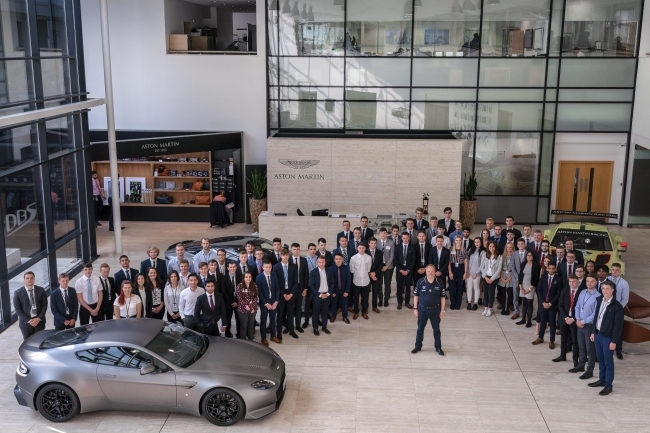 In time, the engineering scholarship will be joined by other areas such as marketing, design and legal careers.” The charitable foundation will operate independently of the apprenticeship scheme at Aston Martin Lagonda, which earlier this month welcomed its biggest ever intake of 50 apprentices and 26 graduates. Details of the scheme and its launch schedule are to be announced later in the year. 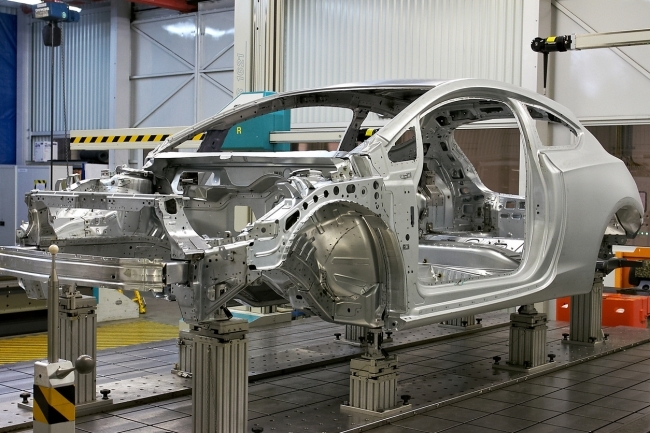 A new research project, named Tucana, will focus on lighweighting technology, delivering stiffer and lighter vehicle structures with the help of experts from WMG, at the University of Warwick. The research will develop world-leading cost effective, scalable carbon fibre composite solutions, with the view to boosting the performance of electric vehicles. The CO2 benefit of the project between 2023-2032, will be 4.5 million tonnes. 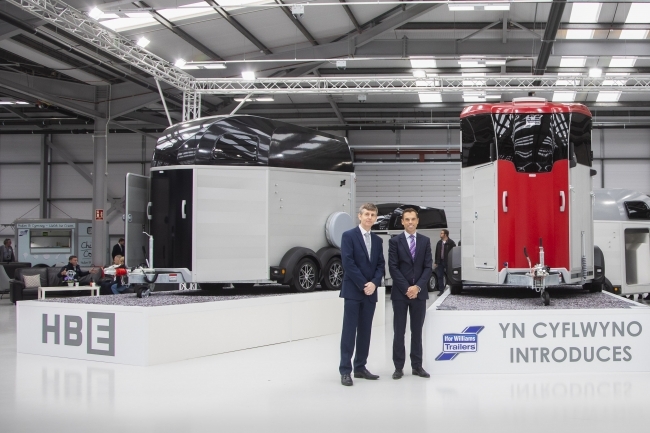 WMG will receive £4m, of the £18.7m government funding through the Advanced Propulsion Centre (APC), to drive the development of innovative lightweight vehicle and powertrain structures, building on the UK’s leading-edge capability in this area. Project Tucana will allow the true environmental credentials of electric vehicles to be realised by enabling wider adoption. Tucana will deliver this step-change by addressing structural performance at a design, material and volume manufacturing-level which is currently unmet across the industry. 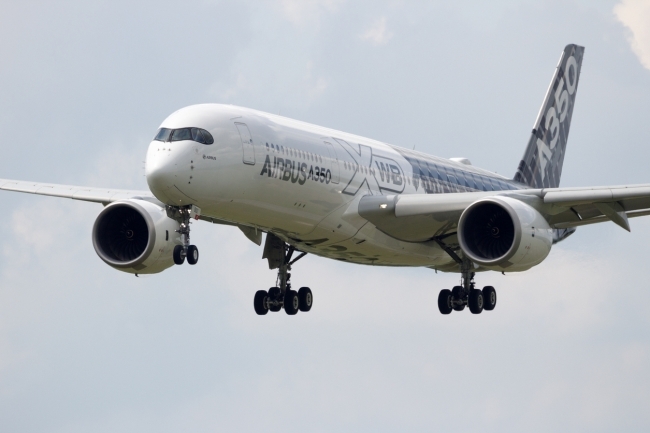 As part of the project WMG will manufacture the carbon fibre components, in their new Materials Engineering Centre which will has dedicated facilities for composite and hybrid structures. Tucana, brings together a consortium of world-leading academic and industry partners. Led by Jaguar Land Rover, other partners in the project are Expert Tooling & Automation Limited, Broetje-Automation UK Ltd, Toray International U.K. Limited, CCP Gransden Lltd, and Magna Exteriors (Banbury) Limited. Our manufacturing and business related content picks that caught our attention this week. Porsche has confirmed that it will no longer offer diesel versions of any of its models. The German sports car and SUV manufacturer had already suspended sales of diesel vehicles in the UK amid the changes to emissions testing and the announcement means they won’t be returning. The firm’s two SUVs – the Macan and Cayenne – along with its Panamera four-door were previously available with diesel engines sourced from sister firm Audi. As such it was caught up in the diesel-gate cheating scandal that engulfed the VW Group and its chief executive Oliver Blume said at the weekend the emissions scandal was in part behind the decision. Blume said: “The diesel crisis caused us a lot of trouble. Porsche’s image has suffered.” Only 12 per cent of Porsches sold worldwide last year were diesel and the firm has said it will now concentrate on hybrid and electric models. Blume added that Porsche was “not demonsing diesel” but that it was not a good fit for the brand. He said: “It is and will remain an important propulsion technology. We as a sports car manufacturer, however, for whom diesel has always played a secondary role, have come to the conclusion that we would like our future to be diesel-free. Petrol engines are well suited for sporty driving.” He also reassured existing Porsche diesel owners that the company would continue to support them throughout their ownership. Free trade comes in many forms. It ranges from single markets to customs unions, to association agreements, to free trade agreements (FTAs) and beyond. The EU has negotiated 35 trade agreements for its member states, with another 22 pending. But it says “the most ambitious trade agreement that the EU has ever concluded” is with Canada. It’s called the Comprehensive Economic and Trade Agreement (CETA). Signed in October 2016, it provisionally came into force last September. The only remaining step is for all the countries to ratify it, which could take several years. But exporters and importers have been working under its rules for a year, and many now believe the CETA model could be a template for the UK’s trading relationship with the EU after Brexit. So what does CETA do? Is it popular? And could it work as a Brexit model? Cadbury Roses is launching its first major TV campaign in more than 20 years to celebrate the product’s 80th anniversary. The 30-second spot, created by VCCP, follows a young boy who thanks people by saying “Roses” instead of thank you, much to his father’s bemusement. From waitresses to drivers, his father becomes increasingly baffled until it transpires he overheard two teachers discussing how the best way to say thank you is with Roses. The £2.6m campaign (which launched during ITV’s Emmerdale on September 24) is also part of Cadbury’s new positioning, which is focused on “kindness and generosity” – the founding principles of the brand and its founder, philanthropist John Cadbury. In January, Cadbury got rid of its “joy” positioning after six years refocusing its marketing in a bid to combat the trend towards healthy eating. Consumers are increasingly looking for healthier alternatives with chocolate sales falling by £78m in the 12 months to October last year in the UK, according to data from IRI. Lego has topped a new ranking of the European Union’s 100 most reputable companies, edging out the likes of Bosch and Rolex to claim the title of most reputable company in Europe. The Reputation Institute’s 2018 survey attributed the Danish toy manufacturer’s success to its “strong commitment” to building a corporate brand as well as its corporate social responsibility and sense of purpose, evidenced by launches like its eco-friendly sugar cane brick range. The study is based on more than 87,000 individual ratings from the general public across Germany, France, Spain, Italy and the UK, assessing more than 140 multi-nationals. At the other extreme, Apple found itself the biggest loser in the rankings, with the Californian firm suffering a backlash over its perceived lack of ethical behaviour and transparency.